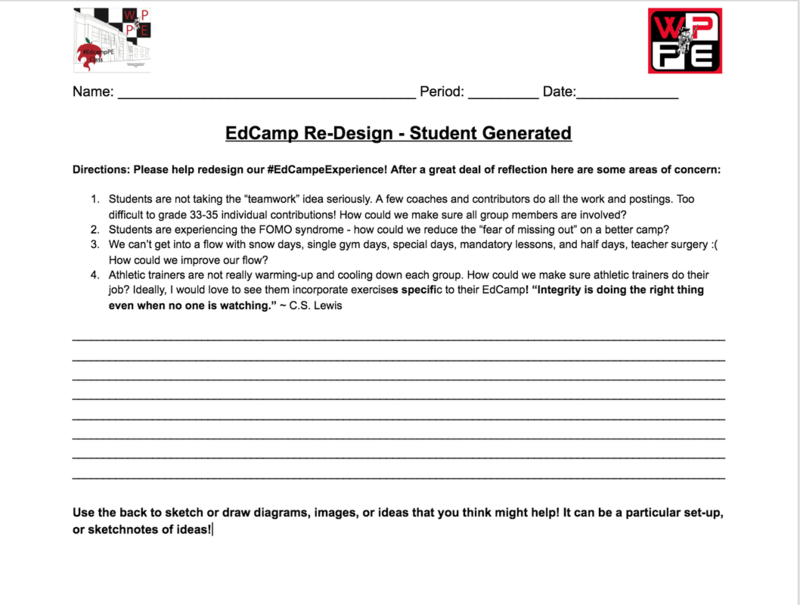 I have seen such a vast improvement in my students since starting this #EdCampPEClass model. Due to some unforeseen circumstances, I went back to a more traditional model, and it felt horrible. The learning was not meaningful to all, and those that didn't enjoy the activity made it unpleasant for others. 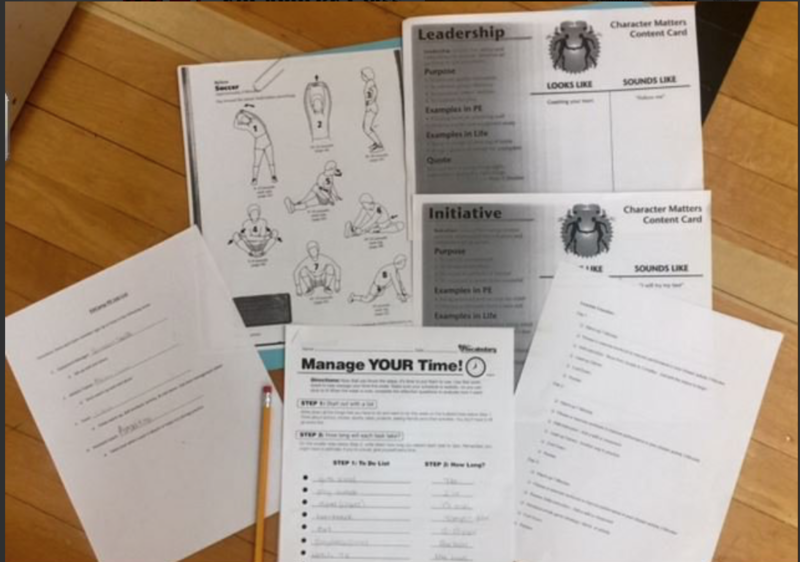 #EdCampPEClass offers voice and choice in units and assessments and has changed the entire complexion of my class. Of course, there are growing pains, and it's not perfect, but I have been working out the kinks for a year now and love it! Hope you are willing to give it a try!! Best of luck if you do and reach out if you need feedback! You can follow the storyline on Twitter at the hashtag #EdCampPEClass. My Twitter address is @lmwppeh. 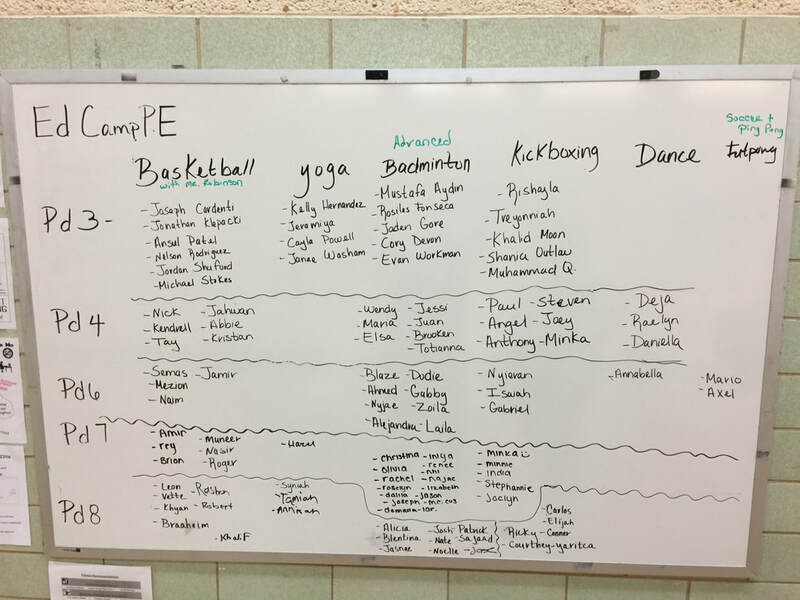 PE I students in Ms. Minka's Classes are helping to develop this #EdCampPEClass Model! From Logo design to structure of the course! What a journey! What - #EdCampPEClass is a new learning experience where students choose units based on what they are interested in or passionate about learning. Why - Traditional methods do not seem to be effective at transforming a student's mindset about PE or sparking that lifelong love of physical activity & movement. How - Use a flipped Genius Hour mindset (20% teacher time for content & 80% student time for activity) to ensure you get time to teach the material you feel is essential. 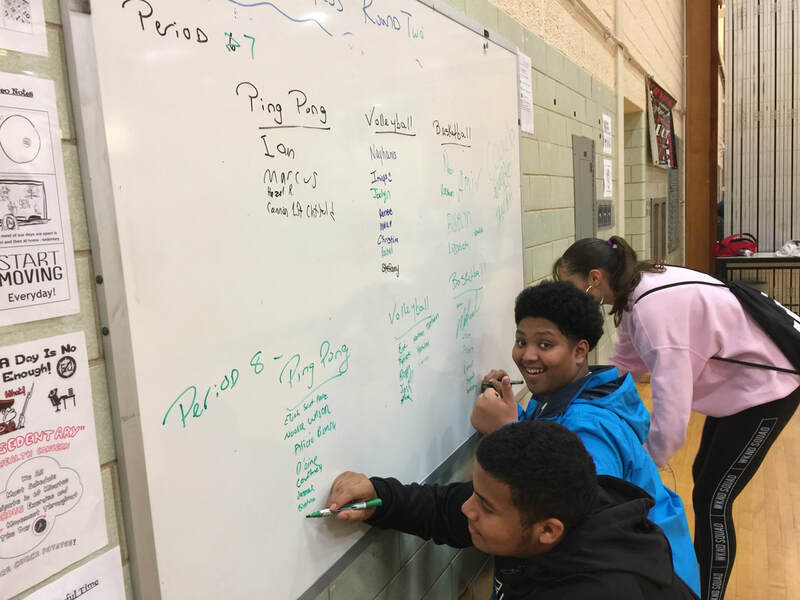 Use a Google Form, Sheet, or just a whiteboard in the gym to post the activities and have students sign-up. Step 3 - Ask them to choose jobs or NOT: Allow students to take the lead or allow them to collaborate to learn and grow together. Mix it up from unit to unit. I will be adding a researcher to the list of jobs as we discovered elink.io and it's an excellent tool for research! Fun, easy, and powerful to curate content! Step 4 - Prepare all the equipment & resources needed for each EdCampPE group. Or, have them research what skills, drills, poses, or team concepts are important - use elink.io (mentioned above) to capture student curations and research! Note: Always get out a little extra equipment due to Step 6. Above: Cart with alllllll the equipment! Above: PE Coalition (PEC) created to advocate for PE & to help with EdCamp! Above; Student aide helping to prep folders! She learned a great deal about a lot of different EdCampPE activities! 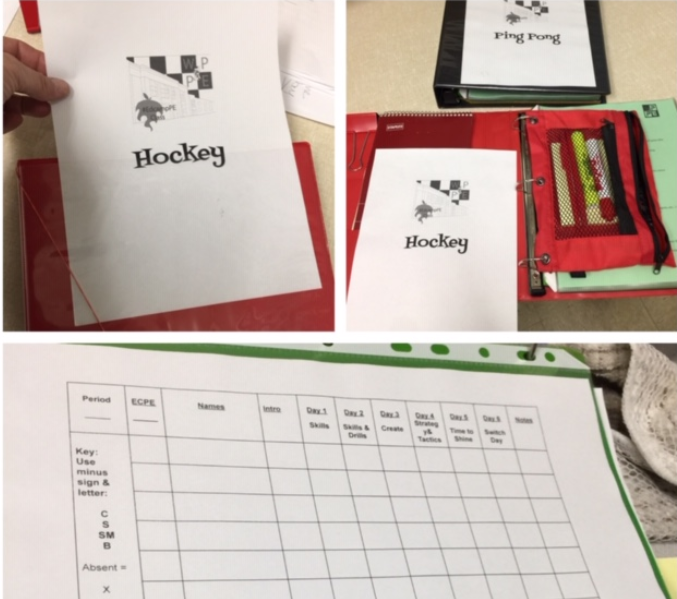 ...Step 4 Continued - A second option is to use a binder system. Better pictures coming soon! I tried this in March on 2019 & loved it! A bit OCD with the colors, but any binder system may help! Folders did not hold up well under kid pressure. Step 5 - Let the fun begin! 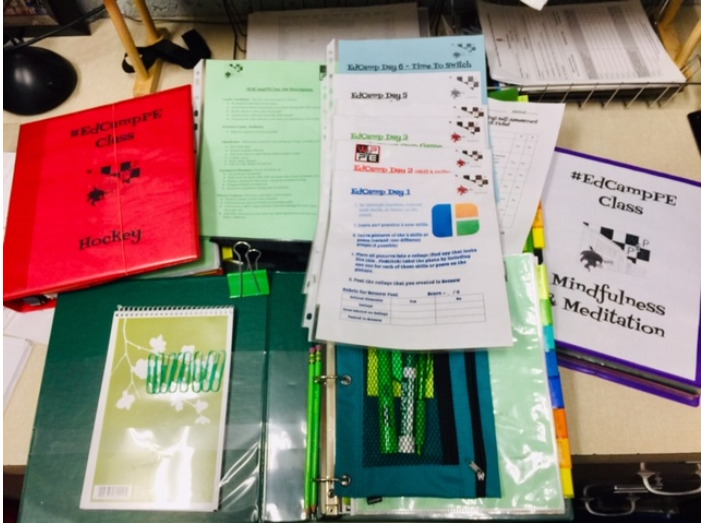 After my 20% time of teaching content, coaches grab folders and check digital assignments in Schoology or Seesaw. Go with whatever method of delivery works best for you - I mix it up! Warm-ups can be the whole group or have them warm-up in their EdCamps. Both ways have worked! Step 6 - The EdCamp "Rule-of-two-feet" is in effect! If a student doesn't enjoy what they are doing, allow them to switch activities. We want learning experiences to be meaningful, fun, and relevant. We hope that students to find delight (@Sparticus). 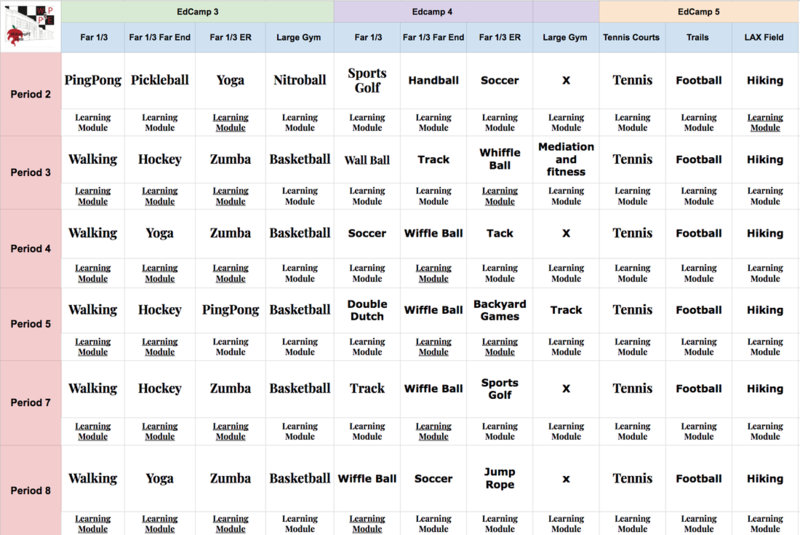 So, allow them to switch activities as it's their PE experience & learning journey! It could be a defining moment! Step 7: Students can post completed tasks into your learning management system. I am using a combination of Seesaw and Schoology, but any LMS will do. No digital tools, paper copies work too - just adjust your assignments. Step 8: Provide students with a variety of rubrics to guide learning. The same rubric can be changed quickly depending on the desired outcome! Or, better yet share the template and have EdCamp groups create their own rubrics. Step 9: Summatives don't have to be overwhelming and can even be fun. 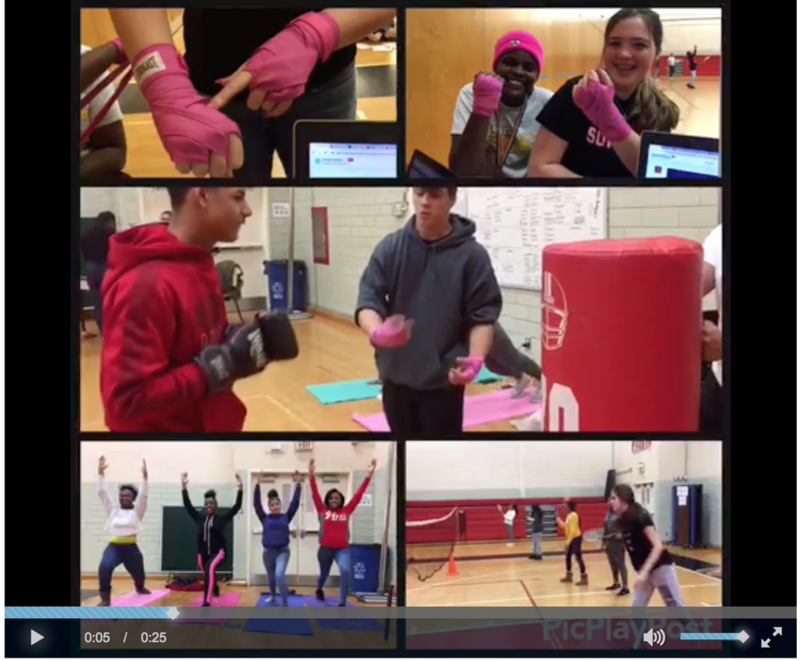 Using the Hacking Assessment or #Gradeless classroom mindset to make PE more enjoyable. Students score themselves, provide evidence of their learning, and submit to their portfolios for conferences. 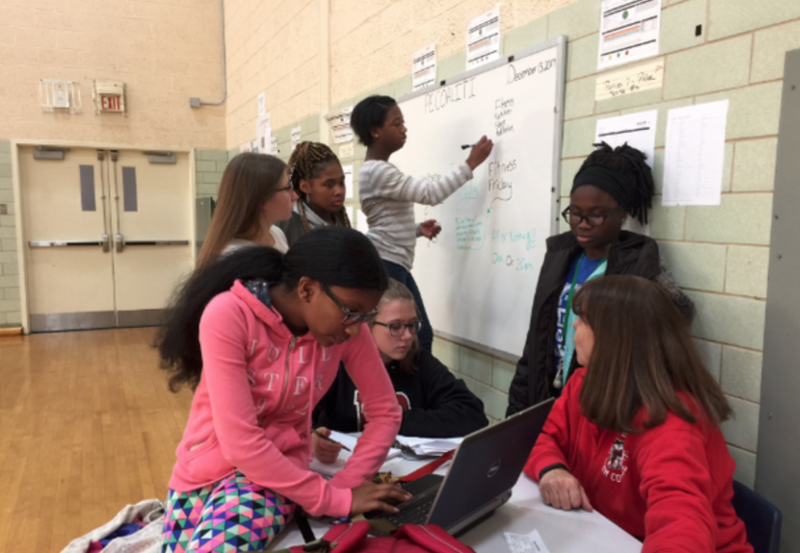 In January of 2019 a teacher at Brandywine High School, Amy Wolfe, decided to give #EdCampPEClass a try. We decided to PLC on everything EdCamp from designs to looking at data, or how successful our designs were. The button below will take you to those PLC minutes. Often times they are just quick thoughts, but it might spark an idea for you if you want to give this experience a try!